Garden Storage / Log Bins. BBQ Gazebo with showerproof canopy and vent. Taupe-coloured canopy Fire retardant and showerproof Canopy vent Polyester fabric Powder coated steel frame Granite effect glass bar tables Measures: 250cm (H) x 250cm (W) x 152cm (D). The BBQ Gazebo offers a sturdy & attractive design. Constructed from a powder coated frame with stakes provided to secure the feet into the ground for stability. With a fire retardant and showerproof Taupe coloured canopy, the canopy also has a vent to ensure air circulation. The gazebo is finished off with granite effect glass bar tables on each side, handy for drinks, condiments e.
C, providing a handy space for cooking as well as offering an attractive design. Delivered in kit form for home assembly - full fittings and instructions included. Overall external dimensions may include overhangs. Suitable for light summer showers Any display accessories pictured not included. 250 cm / 8FT 2.4. This item is delivered Free of charge to the areas detailed in the map below. To minimise delays, please ensure a valid daytime contact number is supplied at checkout. The carriers govern lead times, consolidating orders based on postal code. This ultimately determines how soon you will receive the item. Deliveries are made Monday - Friday excluding National Bank Holidays. Please ensure a valid daytime contact number is supplied at checkout. The carriers will provide you with an ETA as soon as their schedules have been routed. Unfortunately, we are unable to provide a definitive ETA at time of order or until the carriers contact you. Any sign of possible damage should be noted with the driver and signed-for "received damaged". Please contact your local authorities for further information before ordering. We accept all major credit and debit cards. UK Mainland and offshore buyers. This also applies to Postal Orders. We endeavour to process orders as quickly and as efficiently as possible. No assembly or preperation (painting etc) having been attempted and the complete product is in its original sealed packaging. As per the instructions manual, please ensure that the contents and parts are checked thoroughly against the parts list detailed within the instructions manual, prior to assembly. In the unlikely event parts are discovered missing, damaged or defective, please notify us in writing immediately. Assembly should not be attempted until all parts are available. We endeavour to include as much detail where possible including relevant photos, measurements and customer feedback in our descriptions. Goods are the responsibility of the customer until they are collected by our designated carrier. A collection will be organised by ourselves or the designated carrier. Faulty, Damaged or Missing Components. Should your item be received damaged, faulty or has missing components, we must be notified in writing within 48 hours of receipt. We recommend that customers thoroughly inspect the outer parcel upon receipt and before signing for the goods. Only sign for the goods if satisfied the packaging looks in undamaged condition. If the item packaging arrives damaged, please sign for the item'received damaged' and notify us immediately if the contents have been affected. We may request photos of the damage or fault in order to process a claim with the courier company and/or our supplier. Should the item be faulty, damaged or has missing components, replacement parts will be arranged promptly. We are a UK based family led business and we pride ourselves on good, honest and friendly customer service. We hope you enjoy browsing our shop. Should you have any queries on any of our ranges please feel free to get in touch and we look forward to dealing with you. Many thanks and kind regards The Westmount Team. We are a UK VAT registered business with offices and warehousing based in England and Wales. Four Piece Weatherproof Rattan Effect Sofa Set. New Wooden Garden PRESSURE TREATED Oriental Trellis Arbour Bench Seat. NEW OUTDOOR FURNITURE WOOD WOODEN GARDEN ARBOUR TRELLIS SEAT PRESSURE TREATED. NEW PRESSURE TREATED 4 x 3 FT 4x3 4x3FT T&G SHIPLAP SMALL WOODEN GARDEN SHED. NEW 2in1 GARDEN PATIO OUTDOOR WOODEN ARBOUR BENCH SEAT + BBQ BARBECUE COVER. NEW 4FT OR 7FT WOOD STORAGE PRESSURE TREATED LOG STORE WOODEN LOGSTORES. NEW SINGLE WHEELIE BIN STORE WOODEN STORAGE RUBBISH WASTE SCREEN GARDEN TIDY. 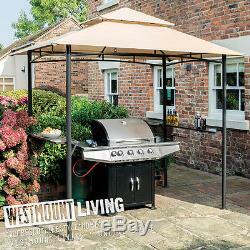 NEW WOODEN GARDEN BBQ BARBECUE ARBOUR SHELTER CANOPY. New Wooden Garden PRESSURE TREATED Oriental Japanese Pagoda Pergola Wood Gazebo. New Wooden PRESSURE TREATED Garden Gazebo Trellis Pagoda MULTI PANEL KIT. NEW STEEL PARTY GAZEBO GARDEN BBQ RAIN AWNING SHOWERPROOF CANOPY SHELTER. NEW GARDEN PATIO WOODEN RETRACTABLE PERGOLA WATERPROOF SUN CANOPY AWNING COVER. NEW GARDEN PATIO WALL PERGOLA RETRACTABLE WEATHERPROOF SUN CANOPY AWNING. New Large Wooden Pagoda PRESSURE TREATED Timber Garden Gazebo. NEW GARDEN PATIO METAL RETRACTABLE PERGOLA SUN CANOPY AWNING COVER. NEW 8x8FT 8 x 8 8x8 FT OUTDOOR STEEL BBQ GAZEBO SHOWERPROOF RAIN CANOPY AWNING. PRESSURE TREATED WOODEN WHEELIE BIN STORE. NEW LARGE MASONRY STONE BBQ BARBECUE CHARCOAL MASONARY BARBEQUE UNPAINTED. NEW 4FT 5FT + ROUND WOODEN PRESSURE TREATED PICNIC PUB BENCH TABLE. NEW 6x5 8x6 10x6 10x8 10x12 FT WOODGRAIN WOOD EFFECT METAL GARDEN STEEL SHED. NEW WOODEN WHEELIE BIN STORE DUSTBIN STORAGE RUBBISH SCREEN. NEW WOODEN TRIPLE WHEELIE BIN STORE GARDEN RUBBISH OUTDOOR STORAGE COVER. NEW WOODEN GARDEN DOUBLE WHEELIE BIN STORAGE WASTE STORE LIFTING LIDS & TWO DOOR. NEW HEAVY DUTY POWDER COATED STEEL LOG WOOD GARDEN TROLLEY CART TRUK BARROW. New Wooden PRESSURE TREATED Garden Rustic Rose Arch Trellis Archway. NEW WOOD PRESSURE TREATED WOODEN TIMBER COLD FRAME MINI GROW HOUSE PLANTER. WOODEN RUBBISH WHEELIE BIN STORE RECYCLE BOX STORAGE. 3x2FT SMALL T+G SHIPLAP WOODEN MINI SHED STORAGE GARDEN STORE 3x2 FT 3 x 2. NEW 5FT PRESSURE TREATED WOODEN GARDEN BENCH SEAT. NEW SMALL WOODEN GARDEN BIKE SHED LOG STORE IN T&G SHIPLAP OR OVERLAP LOGSTORE. Join our exclusive newsletter for up-to date news, special offers and new arrivals. Get in touch with us. The item "NEW STEEL PARTY GAZEBO GARDEN BBQ RAIN AWNING SHOWERPROOF CANOPY SHELTER" is in sale since Wednesday, October 7, 2015. This item is in the category "Garden & Patio\Garden Structures & Shade\Gazebos". The seller is "westmount_living" and is located in Marlow. Overall Height (approx): 250 cm / 8FT 2.4"
Overall Width (approx): 250 cm / 8FT 2.4"
Overall Depth (approx): 152 cm / 4FT 11.8"